Chennai: Infosys Ltd co-founder N.R. Narayana Murthy on Tuesday said that India is facing a huge talent crunch, which, in turn, is affecting entrepreneurship. 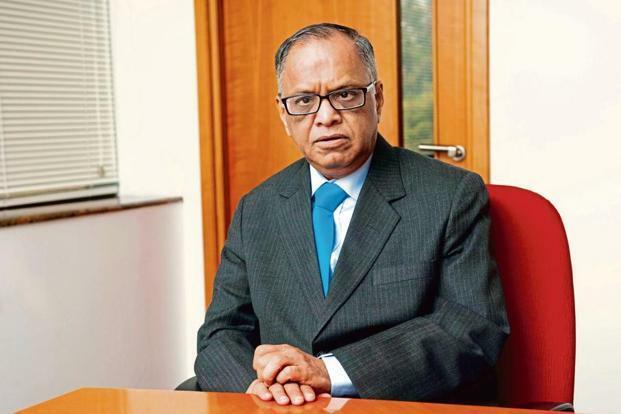 Criticizing the Indian education system for its emphasis on rote learning rather than problem solving, Murthy said that about 80-85% of youngsters are not trained for any job. Murthy, who was in Chennai to attend an interactive session at the Asian College of Journalism, added that governments play a huge role in providing a better entrepreneurial atmosphere. “The corporate governance in India is far behind the global standards. The tyranny of various approvals, tax structure, etc., makes it difficult for startups,” he said. Murthy, who had earlier dismissed the threats of automation and artificial intelligence taking away many jobs, reiterated that it will not affect the information technology industry.